Brief: Demonstrate the power of Square Cash, using only your mobile phone. With the power of Square Cash, you and your mobile phone can take on challenges of unprecedented proportions — like planning one of life's biggest events. Let's demonstrate what Square Cash can do — then invite users to do the same. 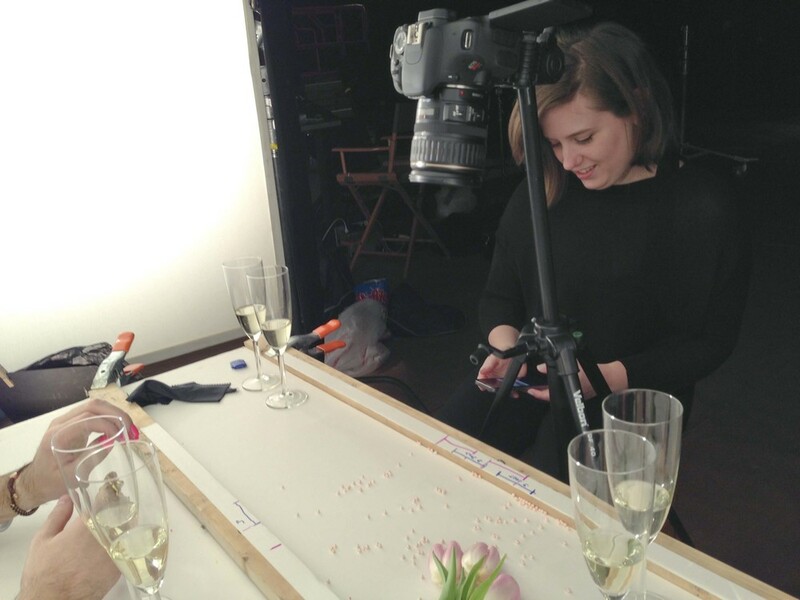 We thought it would be fun to share a few production stills from our shoot in the studio, complete with champagne flutes, sprinkles, and Lee Press-on Nails. Clearly, we spared no expense for Square Cash.